// This is the client-side script. // Initialize the HTTP request. // Track the state changes of the request. console.log(‘Error: ‘ + xhr.status); // An error occurred during the request. send: send a request to the server. responseText for a plain text. Callbacks: Ajax is used to perform a callback, making a quick round trip to and from the server to retrieve and/or save data without posting the entire page back to the server. By not performing a full post back and sending all form data to the server, network utilization is minimized and quicker operations occur. In sites and locations with restricted bandwidth, this can greatly improve network performance. Most of the time, the data being sent to and from the server is minimal. By using callbacks, the server is not required to process all form elements. By sending only the necessary data, there is limited processing on the server. There is no need to process all form elements, process the ViewState, send images back to the client, or send a full page back to the client. Making Asynchronous Calls: Ajax allows you to make asynchronous calls to a web server. This allows the client browser to avoid waiting for all data to arrive before allowing the user to act once more. User-Friendly: Because a page post back is being eliminated, Ajax enabled applications will always be more responsive, faster and more user-friendly. 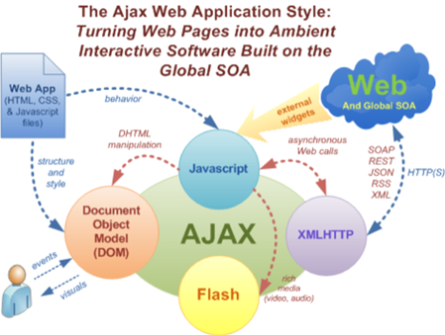 Increased Speed: The main purpose of Ajax is to improve the speed, performance and usability of a web application. A great example of Ajax is the movie rating feature on Netflix. 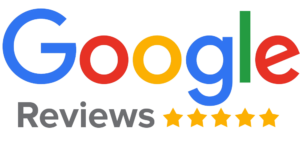 The user rates a movie and their personal rating for that movie will be saved to their database without waiting for the page to refresh or reload. These movie ratings are being saved to their database without posting the entire page back to the server. Security and user privacy – Not all concerns are addressed. Issues surrounding security and user privacy need to be considered when developing an Ajax application. Bookmark and navigation – Since Ajax is used to asynchronously load bits of content into an existing page, some of the page information may not correspond to a newly loaded page. Browser history and bookmarks may not have the correct behavior since the URL was unchanged despite parts of the page being changed. Search engine – Ajax applications are not searchable; however, it is possible to use Ajax features and elements within an application that is searchable. AJAX-based Web applications use the same server-side security schemes of regular Web applications. You specify authentication, authorization, and data protection requirements in your web.xml file (declarative) or in your program (programmatic). AJAX-based Web applications are subject to the same security threats as regular Web applications.